We all want to be as productive as possible. But we’re also human. We get distracted. We procrastinate. We don’t bring our “A game.” So in an era of high expectations, it’s critical to develop “productivity hacks” to make the best out of every single day. Here are my top 5. 1. Realize when you’re not as your productive best – and have discipline to pull the plug. You start to write that report, finish that business proposal, and it’s just not clicking. You pour another cup of coffee… and still nothing. You could try to power through, but in most cases, that’s the worst thing you can do: You’ll just feel more frustrated and unproductive. And that’s where pulling the plug comes in. Pivot to something else, even if it doesn’t seem “conventionally” productive. For me, it’s exercise, walking my dog, or cooking. But for you, it might be something different. Just find your thing and have it in your back pocket. 2. Discover where you’re most productive and work there – even if it’s unconventional. For example, one of my go to places is the back seat of my car, parked on a side street. Another super productive place for me is a noisy coffee shop (with my noise canceling headphones on). Or, strangely enough, I often feel creative working in hotel lobbies. But that’s me. 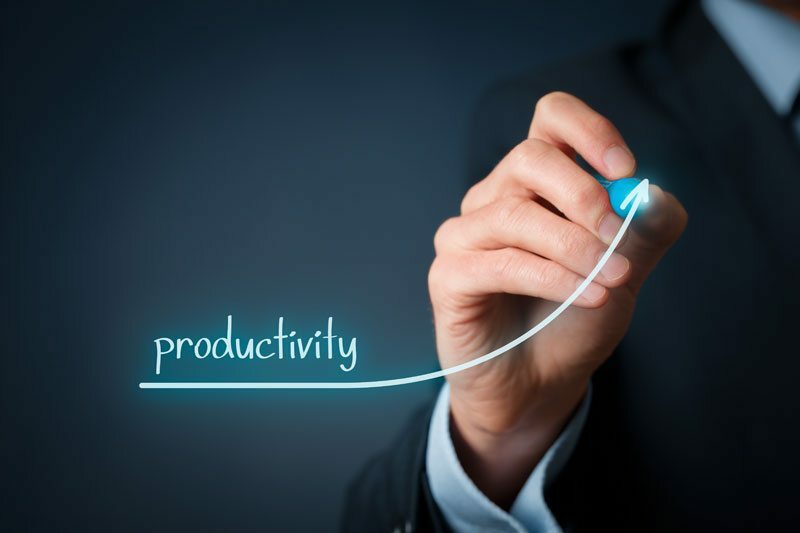 Where are you most productive? Is it at your desk? On the couch? In your office? On the floor? Find out what works for you (even if it’s weird) and go with it. 3. Keep a catalog of your old ideas (you never know when they’ll be useful again). I do this all the time, and it’s been a treasure trove of innovation for me. The key, of course, is to put them in a place you can find them! So, start a file on your computer. Find a notebook you like and keep track of things there. You’ll be surprised at how useful this will be for you over time. 4. Learn to say no (judiciously). Be smart: say yes to opportunities that help you grow and learn, help your organization move forward in a positive direction, and that put you in a position for career success. But when something comes up that doesn’t hit any of these boxes, learn to say no. Or at the very least, learn to pause before immediately saying yes, and then regretting it later. 5. Schedule meetings with yourself. We spend our days working on other people’s agendas. But how about our own agendas? Schedule time every day with yourself – and make it an actual meeting – blocked off in your actual calendar. And whatever you do, don’t bump these meetings just because something else comes up. Consider them sacrosanct. Dedicate the time to your own creative endeavors; to personal learning; or to whatever will help you move forward in your own career (and that you simply don’t have time to do during the day to day).